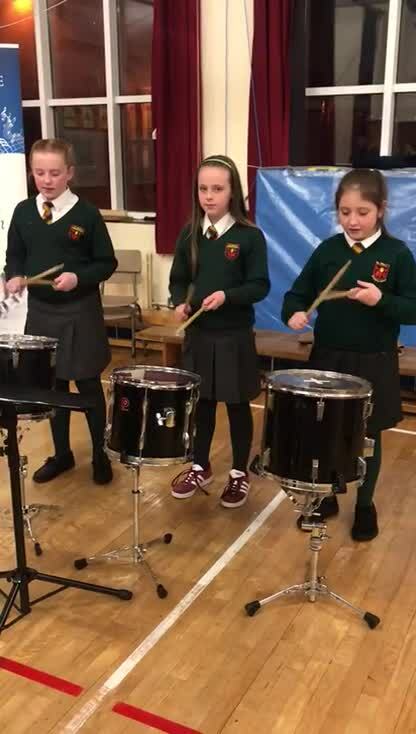 We are so proud of these young ladies who represented St Mary’s at the percussion trio in Newry Music Centre. Chloe, Fiona and Sally were introduced as Newry Feis talented winners. They didn’t disappoint the applauding audience. A big thank-you to Mrs O'Hare, our school music teacher, and Jimmy Hagan, our EA school tutor.